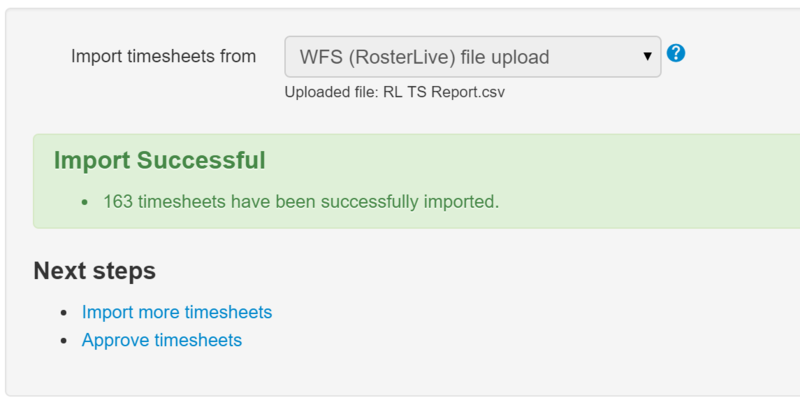 The WFS (Roster Live) integration allow timesheets to be created based on files exported from WFS. 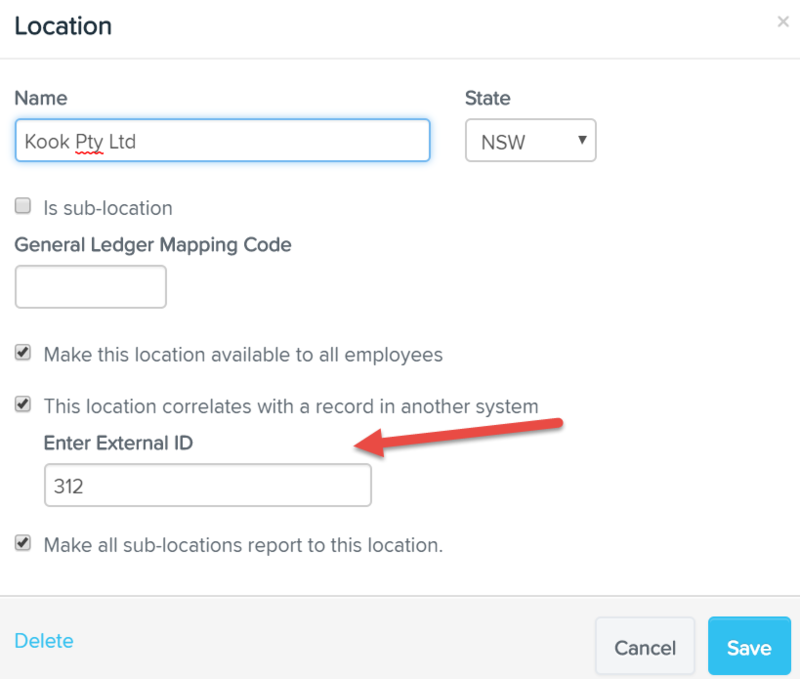 Important: When importing timesheets from WFS, employee and location data needs to exist and match the data from the timesheets being imported. It is therefore recommended that you use the Import Employees functionality to ensure matching employees and locations can be determined. 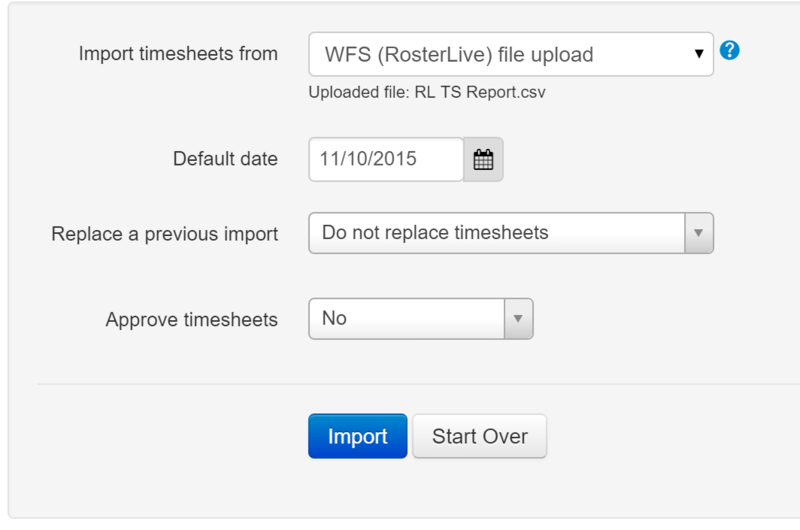 The default date is optional and only necessary for instances where only times are exported from WFS. 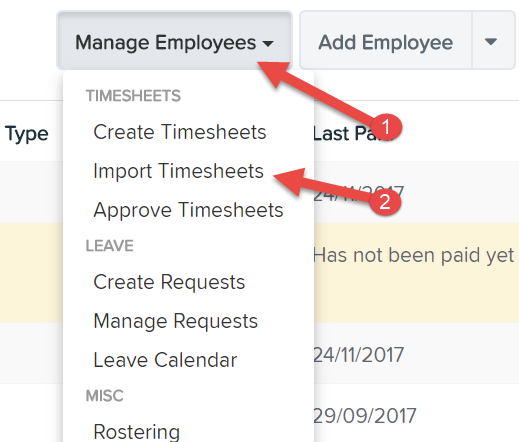 The 'Approve timesheets' option is to determine whether the timesheets are automatically approved or whether they should go through the standard timesheet approval workflow. Click Import to begin the process. Once the process is complete you will be given the option to import more timesheets or proceed to the timesheet approval section. Category Id The pay category or leave category that this time sheet line is associated to. This can be an external ID or the system generated assigned id. This field is required. Employee Id The employee id that this time sheet line is associated to . This can be an external ID or the system generated id.This field is required. Location Id The location id that this time sheet line is associated to. This can be an external ID or the system generated id. Comments Any notes to be associated with this time sheet line.